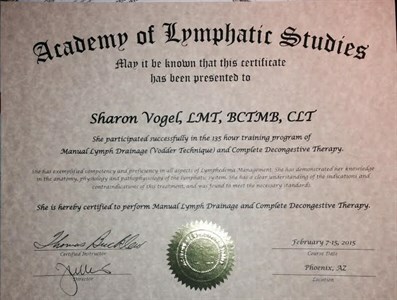 Complete Decongestive Therapy through Manual Lymph Drainage by a licensed and nationally certified practitioners, Sharon Vogel, CLT. Measuring and Bandaging available. Superficial bodywork drains edema and toxins to reduce pain and boost immunity. Living in a hectic, modern world means that we can never escape toxins that bombard us on a daily basis. These toxins accumulate in the body, triggering congestion and inflammation. Therefore, this therapy is highly beneficial for virtually anyone and can help alleviate numerous symptoms. It can also be an excellent supplemental therapy to help optimize any healing protocol you may be already undertaking. 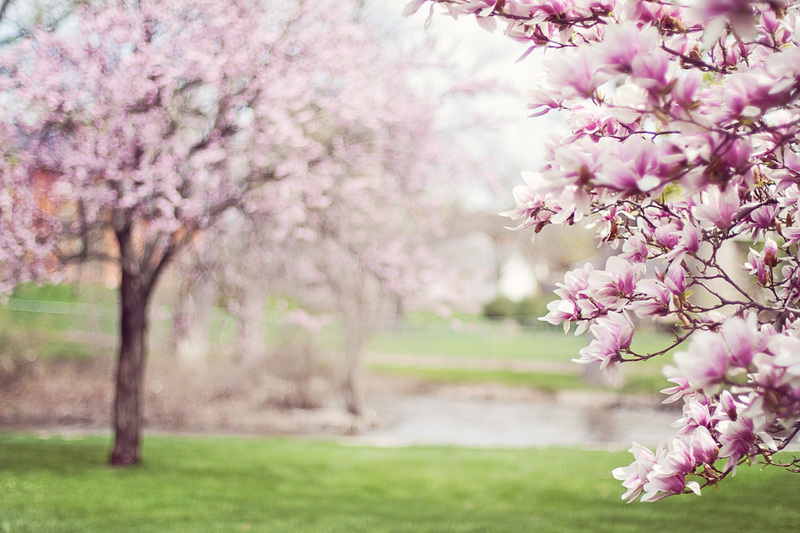 Maintenance program for Lymphedema, Lipedema and complete decongestive therapies. Manual Lymph Drainage is clinically proven to help drain "lymphatic load" of "protein-rich fluid" from the brain, organs, and the tissues of the body. I am referred to by practitioners at Mayo Clinic and National Surgeons directly. The lymph work that I do is endorsed by the American Cancer Society, National Cancer Institute, and Academy of Lymphatics. The purpose of this treatment is to balances the body's systems on many levels. Increases drainage, circulation and alleviates tight fascia which is involved in TMJ, Migraines, Tinnitus, Brain fog, Muscle Aches, Poor Posture, and more. Certified in "The John Barnes Myofascial Release" MFR I & II, plus Unwinding.